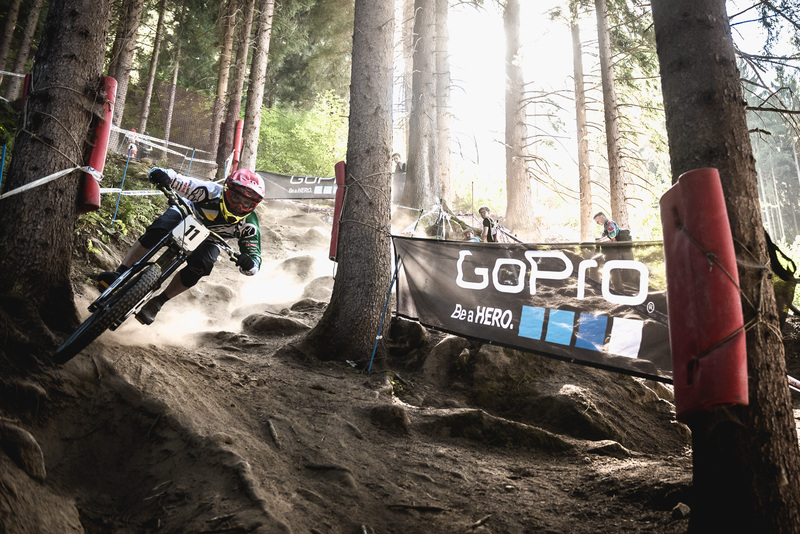 The dust of Val Di Sole has just settled and what a race it was! We come out of this crazy weekend of racing with a Bronze medal from Tracey Hannah. Tracey has been riding incredibly fast all week and at the timed session of Saturday she was 2nd at 0.5s of Rachel Atherton. For the race day, all the conditions were combined for a great day of racing: the track, the fans and the riders. Tracey tried hard and ended not finding the speed that she had during practice session but she still did a clean run that secured her the Bronze medal. 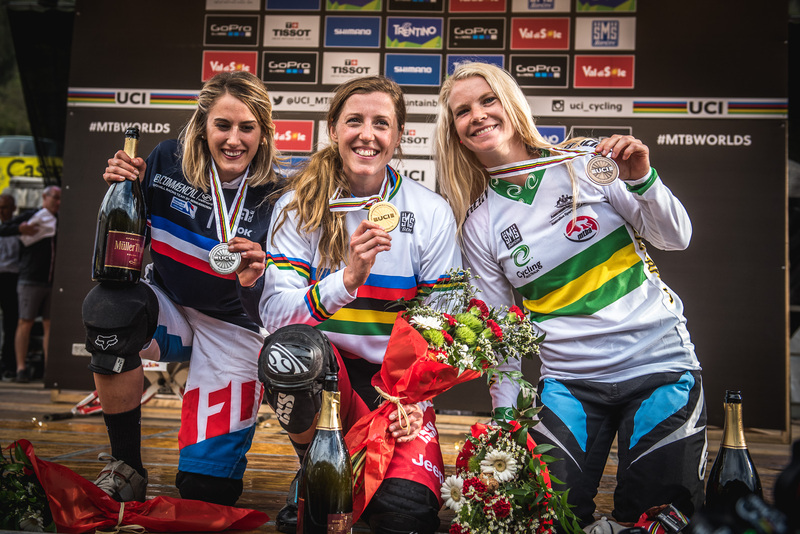 We know that Tracey has still some good progression margin and it’s good to see her finish the season on a high note as it’s one of the best season of her carrer with the Crankworx DH title, 3rd at the world cup overall and now 3rd at world champs, Congrats Tracey! For the men we saw both Mick and Alex finishing in the top 20. Mick Hannah had a consistent week building up speed toward his race run where he finished 19th with a now classic Sik Mik no hander on the finish jump for the pleasure of the crowd. For Alex the weekend was a mixed of emotion, he started the week with an incredible speed from his confidence boost from his podium in Andorra and it was sure that Alex was going to to be a contender. Unfortunately in the timed session he crashed hard and hurt his shoulder with a stage1 shoulder joint separation. All the medical staff worked on his shoulder and taped it. Until the last minute we were not sure if he was going to race. Alex finally decided to race and push through the pain and what a surprise we had when we saw him taking the 17th place with his injury. Alex was a bit disappointed with that as he knew the top10 was easily reachable but this is definitely a sign that Alex has reached another level. 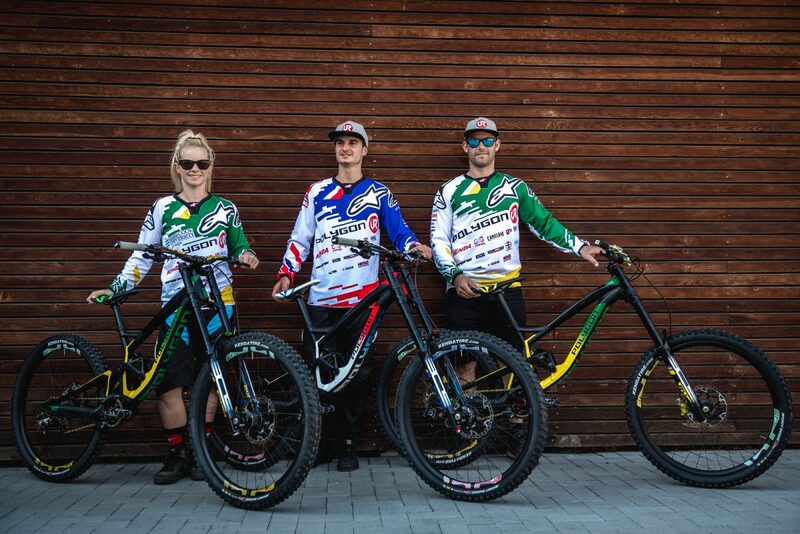 This is not the end of the season yet, as Mick and hopefully Alex are going to compete the Red Bull Hard line next week , Tracey is going to do an Urban DH in Perth Australia and on the enduro side, i’m going to do the last 2 enduro world series. 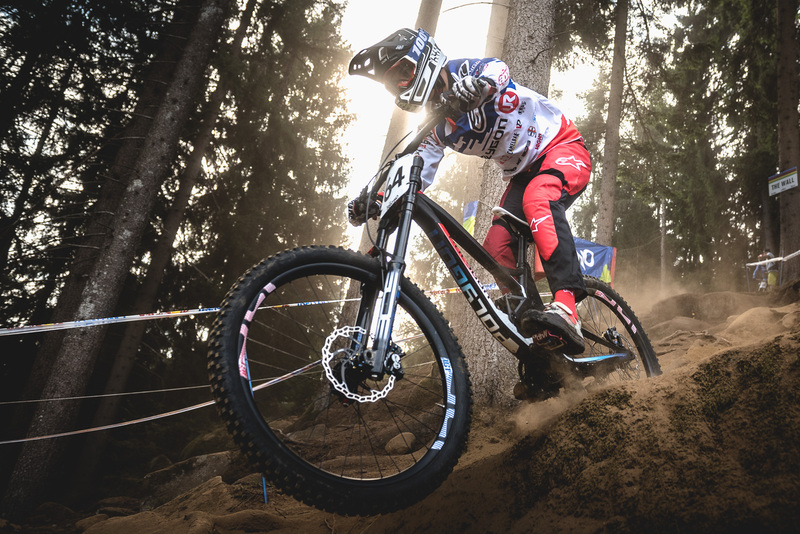 This is to date one of the best DH season of the team and we’d like to thanks again everyone involved: staff, riders, sponsors, fans and families.